I have been wanting to start vlogs for quite some time, but daily vlogging is something very difficult for me. So I have decided to start with weekly vlogs. In this vlog, I am munching on fruits, watching youtube, discussing a solution for public washrooms. I showed Pee Buddy and how to use it. Later I went out for lunch with my dearest friend Shreya. 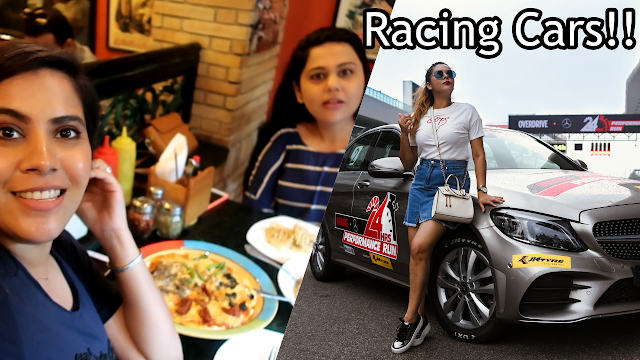 The highlight of this vlog is the event I attended at the Buddh International circuit. What an exciting experience it was! They ran a Mercedes Benz for 24 hours which had JK Tyres fitted on, at the Buddh International Circuits's racing track. After the 24 hour run, the car and tyres all were in perfect condition. Hope you liked my first weekly vlog. See you soon in another video!